The Carper Family is a family band like no other, spinning out the effortless harmonies of a born-family with the range and diversity of a made-family... Whatever the bloodline, the music hits the ear with both depth and simplicity, capturing the essence of true country music. The Austin-based trio of Melissa Carper [upright bass], Beth Chrisman [fiddle], and Jenn Miori [guitar] applies their signature, stunning three-part harmonies to bluegrass, old-time, country and swing tunes of the standard and original variety, pushing and honoring American musical traditions at every step. Joining the band on lead guitar is Sophia Johnson (not pictured). Joining the band on lead guitar is Sophia Johnson, a recent addition to the Austin music scene who hails from Birmingham, England. Before moving to Texas, she performed all over the UK and Europe as a founding member of family band, the Toy Hearts. 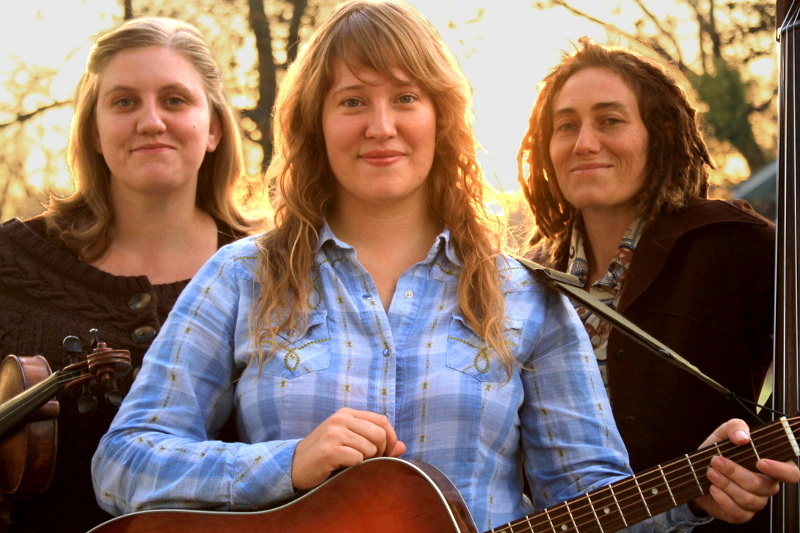 Sophia is equally adept at playing vintage Western swing guitar as she is flatpicking hot bluegrass leads.